Matt Bigwood hails from the UK and has been a photographer since 1986, and recently showed us a photo from a long term project that he worked on. 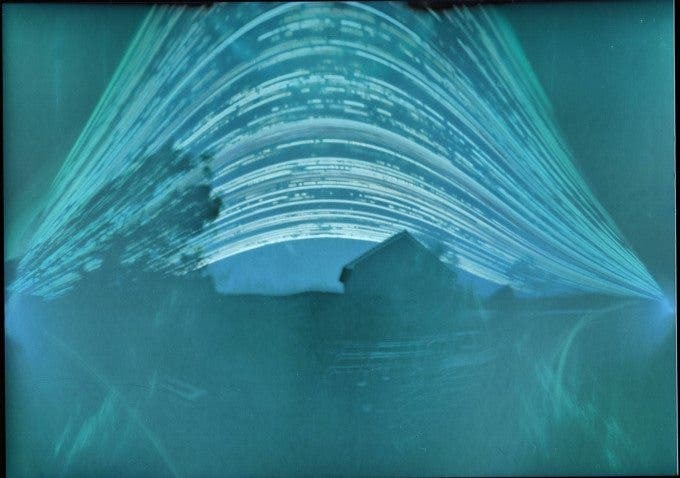 The photo above is a six month long exposure using a beer can converted into a pinhole camera. Pinhole photography is amongst the earliest forms of the craft, and it is practiced by many still even today. We’ve reviewed pinhole adapters for mirrorless cameras before and we’ve even taken part of World Pinhole Day: a once a year festival that celebrates all things pinhole. 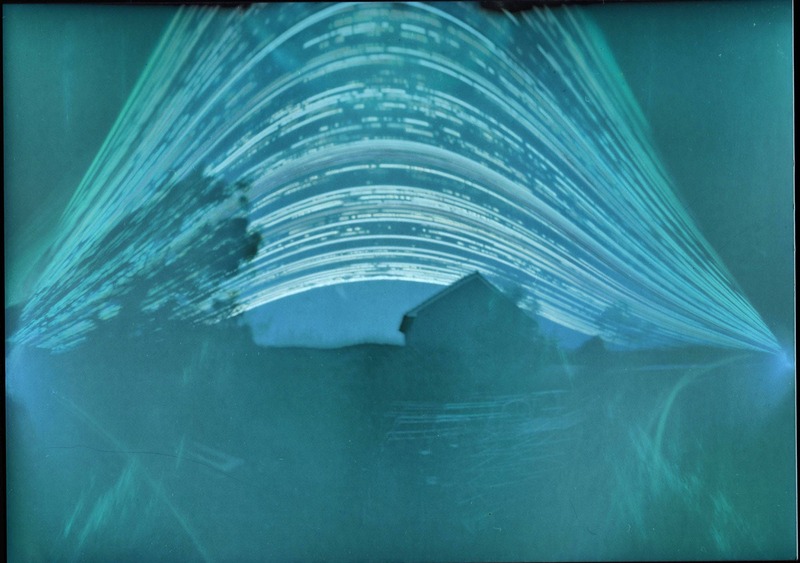 To learn more about his project and pinhole photography, we briefly talked with Matt about his vision, calculations, etc. Phoblographer: How did you catch the photography bug and how long have you been shooting? Matt: I was introduced to photography in the mid 1980s when I was about 12 or 13 as I had an uncle who was a keen photographer and had a black and white darkroom in his garden shed. My first camera was a 1950s Braun Paxette rangefinder which I used to shoot black and white film and then develop and print. I was hooked on photography and in 1986 I was lucky enough to get a job with a local newspaper in Gloucestershire as a photographer and was trained at Stradbroke College in Sheffield – in those days everything was still shot on black and white film and developed and printed manually. 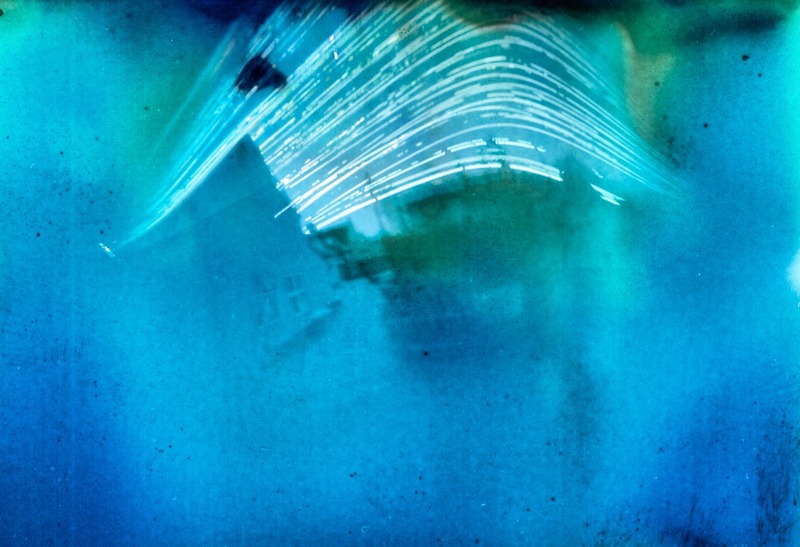 Phoblographer: What got you into pinhole photography? 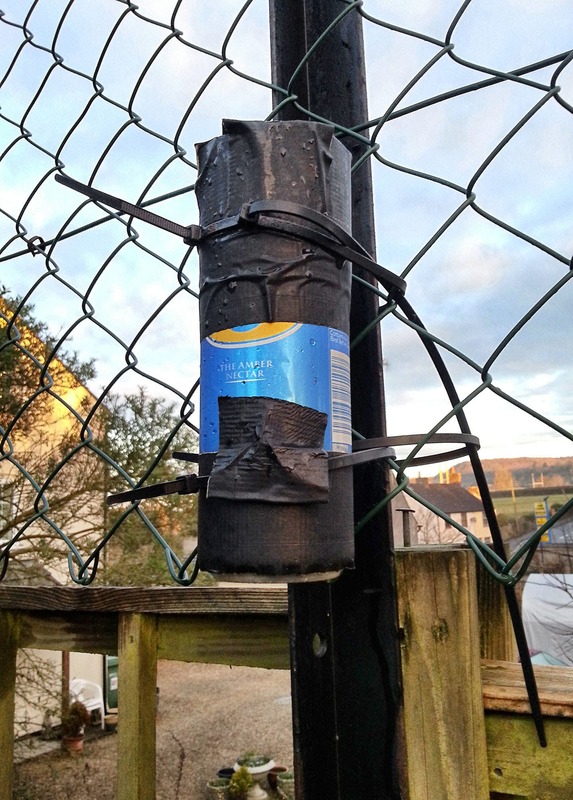 Matt: My uncle introduced me to pinhole photography – we made a pinhole camera from a biscuit tin and took a picture in the garden. When I developed the sheet of paper there was that moment of amazement as I saw the image appear under the safelight. Phoblographer: Are there any other artists or work that inspired you to do this project? Matt: I hadn’t really done very much more pinhole photography until 2011 when I went on a workshop with my family run by renowned UK pinhole photographer Justin Quinnell at Lacock Abbey in Wiltshire, UK, the home of William Henry Fox Talbot, the inventor of the negative-positive photography process. 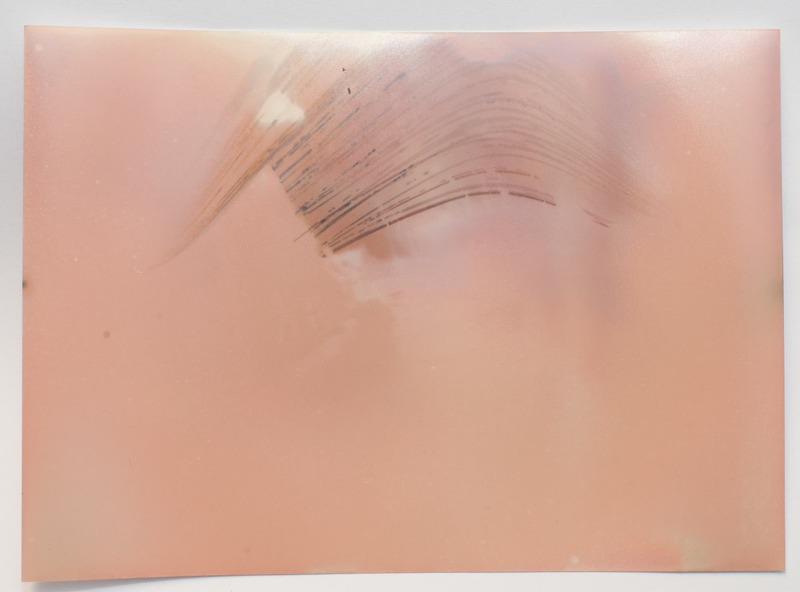 Justin’s workshop centered around the beer can technique and demonstrated how it could be used for short exposures (a few seconds in bright light) and then develop the sheet of photographic paper to make a negative, or left for months to ‘etch’ the sun’s rays onto the paper. With this technique the paper doesn’t need to be developed, just scanned on a flatbed scanner and then inverted to create a positive image. 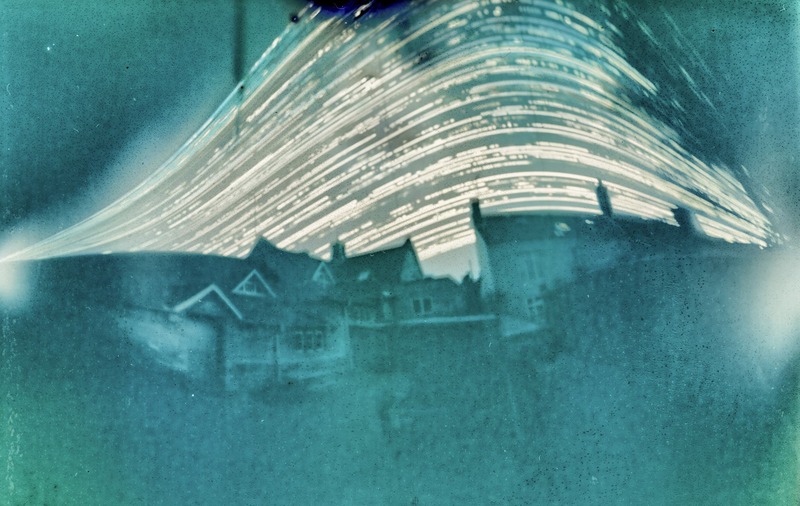 In June 201,1 I set up a pinhole camera in my garden and made my first six month exposure. I was impressed by the result so I approached the headteacher at my daughter’s school to see if I could set up some cameras there, and if it worked I could share the results with the children at the school. I since watched an excellent video about Justin Quinnell on YouTube and spotted myself and my daughter in the film at around 5 minutes. 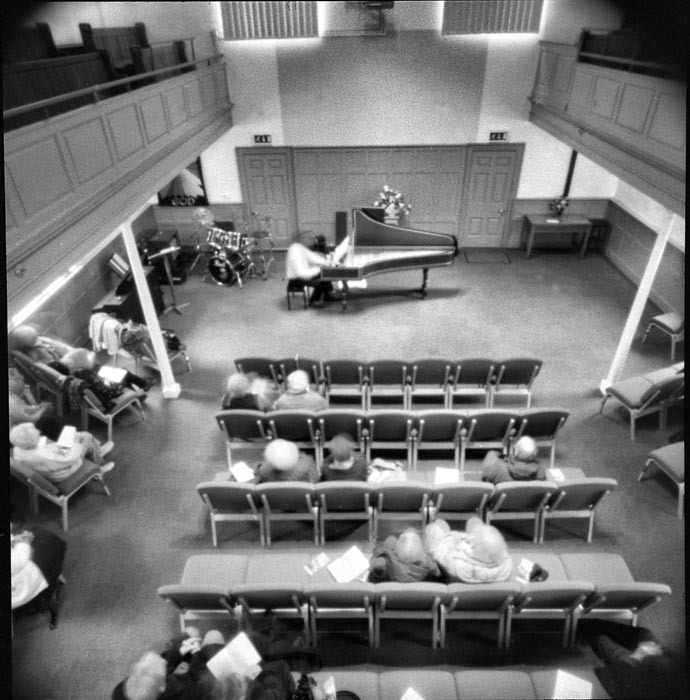 I took part in the 2012 World Pinhole Photography Day using a Holga Pinhole camera (which shoots on 120 roll film) to take a six minute exposure of my brother’s harpsichord recital. Phoblographer: Tell us a bit about the setup. Also, how did you choose and figure out how to compose the images? 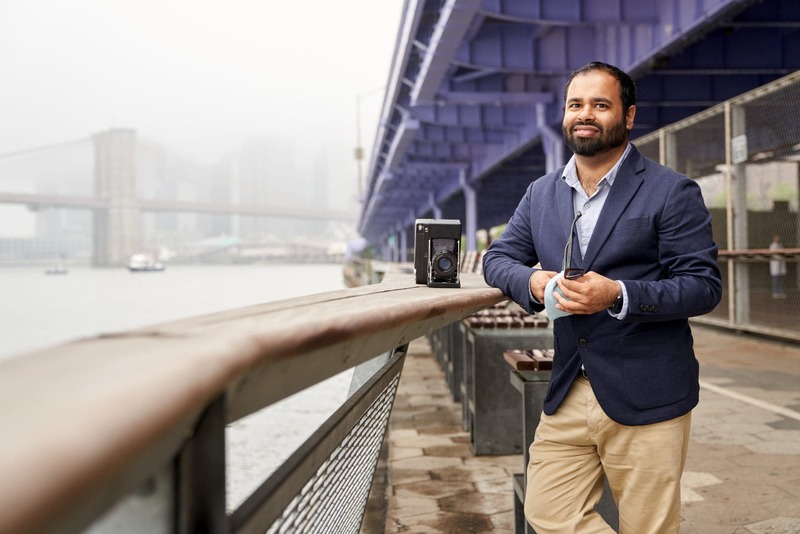 Matt: The equipment is very simple – an empty beer can with the top removed and a hole made with a needle or pin, a card lid for the can held on with gaffer tape, and a sheet of 5”x7” black and white photographic paper inside. To make a six-month long exposure the camera needs to be pointing south towards the sun. Composition is an educated guess – it needs to be south facing and the bottom of the can raised slightly to get more sky in the picture. Because the paper is wrapped around the inside of the can it give the distorted arc shape to the sun’s path across the sky. Despite one of the wettest summers in the UK for many years, the cameras still recorded the sun’s path across the sky. 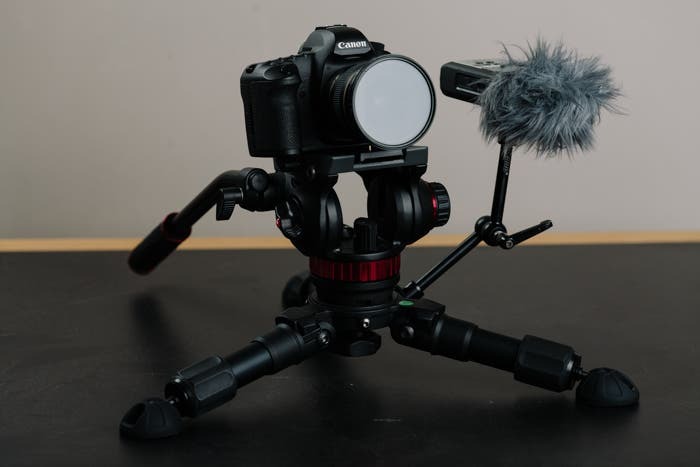 Phoblographer: Tell us about the gear. 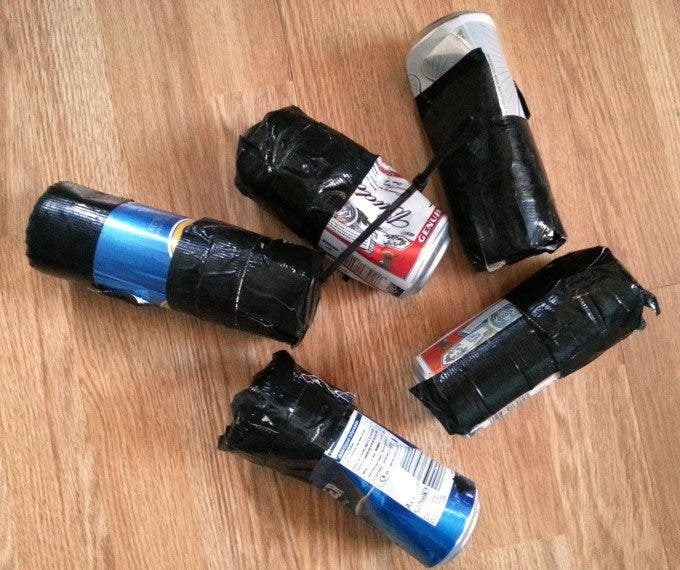 Obviously they’re beer cans but how did you calculate the aperture, exposure length, etc. Also what ISO/size film were you shooting with? Matt: Because the paper isn’t going to be developed the exposure isn’t at all critical. A smaller pinhole will give a sharper image, but the lines won’t be as pronounced because it is letting in less light. The hole in my cameras were around 1mm diameter. The photographic paper is manufactured by Kentmere, a UK manufacturer and is fairly easy to buy here. I think the sensitivity is around 6 or 10 ISO. A 5”x7” sheet fits neatly into the can, but it’s critically important that when you load the camera you don’t accidentally cover the pinhole. If you do you won’t get any image on your paper. Phoblographer: A lot of work goes into pinhole photography when you shoot an exposure this long. How often did you check the cans? Matt: I set up five cameras at different heights and locations around the building, hoping I might get a good composition with the school building framed by the sun’s rays. They were secured to fences and lamp posts using cable ties and tape. Two of the cameras were damaged, probably by over-inquisative children, or a ball hitting them. The can was deformed and the pinhole got covered by the paper inside, so it didn’t produce an image. I had a quick look at the cameras every week or two to make sure they were still in place. Phoblographer: Were you afraid anyone would steal them? Matt: My biggest concern was that someone would think they were junk and throw them away before the exposure had finished. Luckily this didn’t happen – probably because most of them were more than six feet from the ground and hard to reach. Phoblographer: Now that this is over, what’s your next big project that you’re working on? Matt: I’ve got a few ideas about making some of my own wooden pinhole cameras based around old 4”x5” film holders. I’d like to experiment with long exposures, but this time on sheets of film. 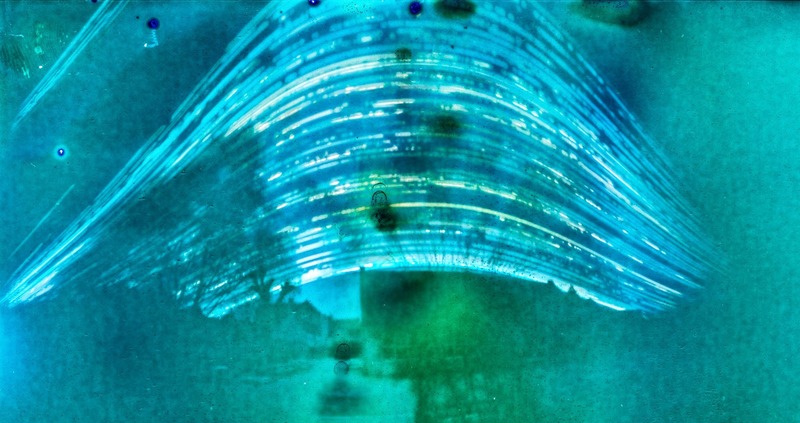 One of the interesting things about the long exposures was that so much had happened in front of the cameras during those six months – children had been playing in front of them in the playground, the sun had risen and set each day, and the seasons had changed – and only the sun rising and setting was recorded in the image.